With rapid advancements in wireless communications technology, providing your home with complete, state-of-the-art home security features has never been easier or more affordable. Now, rather than retrofitting your home with yards and yards of intrusive wiring and other cumbersome security devices, installing your home security system can involve little more than plugging in a device and wirelessly syncing it to your central security hub, similar to how your computer syncs with your WiFi router. However, researchers have discovered that a completely wireless home security system may not grant you as much protection as you think. 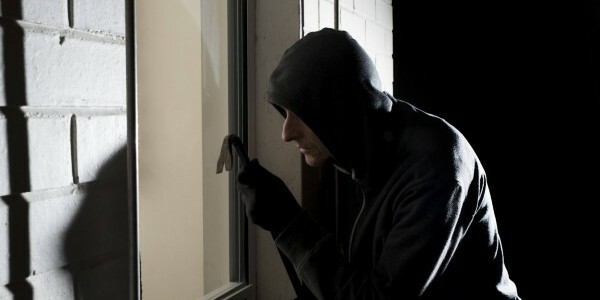 In a recent blog post, cybersecurity firm Rapid7 revealed a vulnerability in Comcast’s Xfinity Home Security System that could allow tech-savvy home invaders to simply walk through the front door of the home without being detected! And although this fatal security flaw was originally discovered in Comcast’s security system, experts agree that similar security systems could also run this risk. While it should be noted that Comcast is responding to this research by working with industry partners and other home security providers to create solutions to the problem, Rapid7’s findings are no less startling. One of the main reasons Comcast’s system, which employs ZigBee communications protocols (considered the gold standard among home security and home automation experts), is so vulnerable is that it does not maintain proper or regular security checks across its various devices. Minutes and even hours can transpire between security checks, meaning a thief with a knowledge of the system could potentially slip into and out of the house before the system raises an alarm. Simply put, a wireless radio jammer sends out a signal that prevents wireless communications devices from talking to each other.The possession or use of radio jammers is illegal under federal law. To demonstrate just how easily a home invader could circumvent the system, a researcher simulated an attack on a window sensor using a radio jammer. Despite the sensor indicating an “armed” status, the researcher was able to open the window without alerting the security protocol. What more, the device was unable to report the incident to the central hub once communication was reestablished, as though the break-in had never occurred. While requiring a bit more expertise than simply turning on a radio jammer, researchers also discovered a weakness in the ZigBee protocol itself. This method, known as a de-authentication attack, involves the home invader using software to disconnect the system user from the system. The crook then can gain access to passwords, and let himself in that way. Although wireless monitoring tends to be the preferred monitoring method, as has been demonstrated, it is not always the best. And not all wireless security systems are created equal. For example, Protect America’s wireless security system schedules frequent alarm tests and other precautions to make sure devices are communicated with one another accurately. As you weight your home security options, it’s important to look at both how and how often the system monitors your home. If the security company features wireless monitoring, how responsive are its communications protocols? How soon before you or the authorities are notified of a break-in or other house emergency such as a fire, flood, or carbon monoxide leak? In an effort to release functioning products on the market as fast as possible, some companies may overlook the crucial step of bolstering their equipment with necessary cybersecurity procedures. As you consider which home security company is right for you, be sure to ask about the company’s equipment. Outdated or poor-functioning equipment is susceptible to hackers and could cost you more than the price of the system should it fail. You can also tell a lot about a company by what its customers have to say about it. 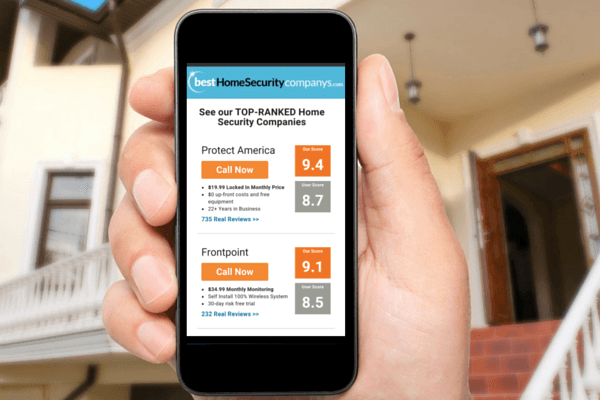 Here at BestHomeSecurityCompanys.com, we have collected over 4,000 home security company reviews from actual customers! These honest reviews will give you a good idea of how the company treats its customers, and what you can expect once you sign up.